It’s official…I LOVE soup…I LOVE NOODLES…and I’m COLD! 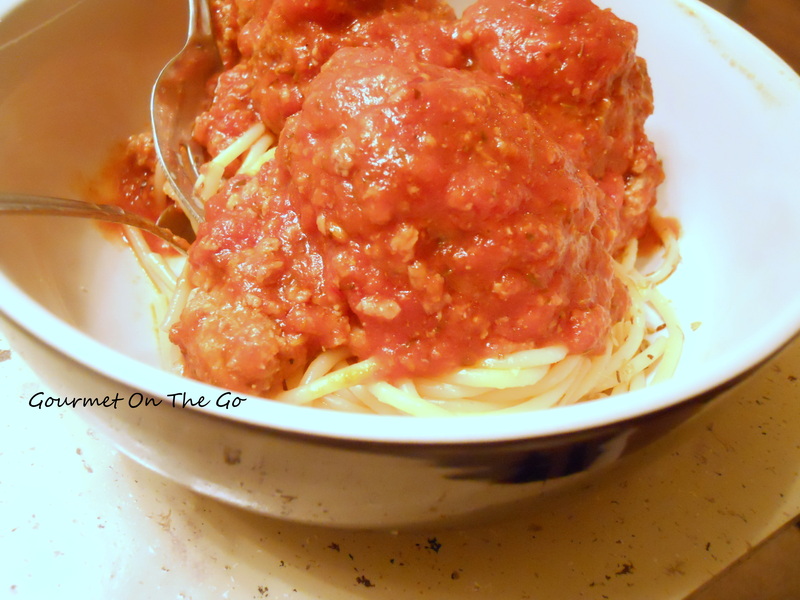 I think I’m driving my daughter bonkers, but it’s quick, filling, healthy, and easy to make. What’s NOT to love? This is my “go to” meal after a weight lifting session to help power me back up, but tonight this is my “go to” warm me up meal (smile). If you’re familiar with Bim Bim Bap, a wonderful Korean dish made with rice, this is a quick version using noodles as the primary starch. Prepare the Ramen noodles according to the package directions. 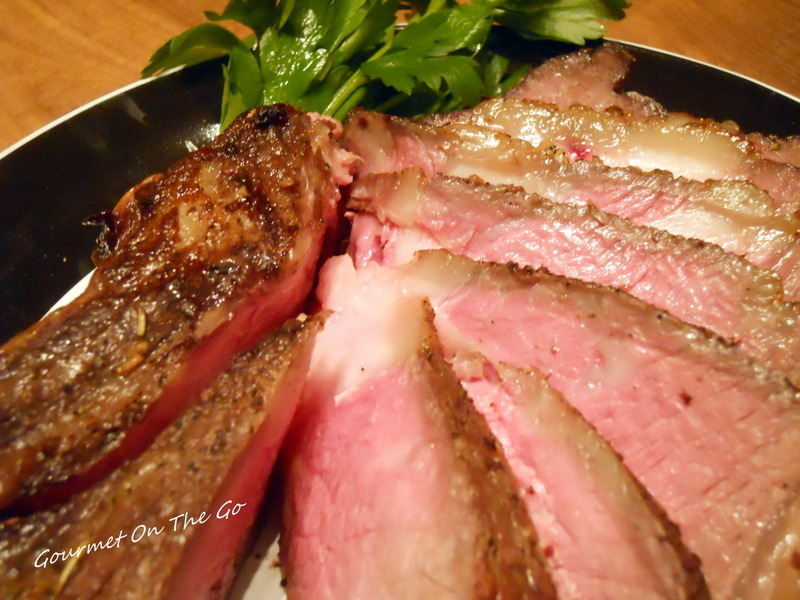 While the noodles are cooking, slice the raw flank steak as thinly as possible and set aside. Slice all of the remaining veggies and place in small piles. Place cooked noodles in the bowl and arrange veggies and steak on top of the noodles. 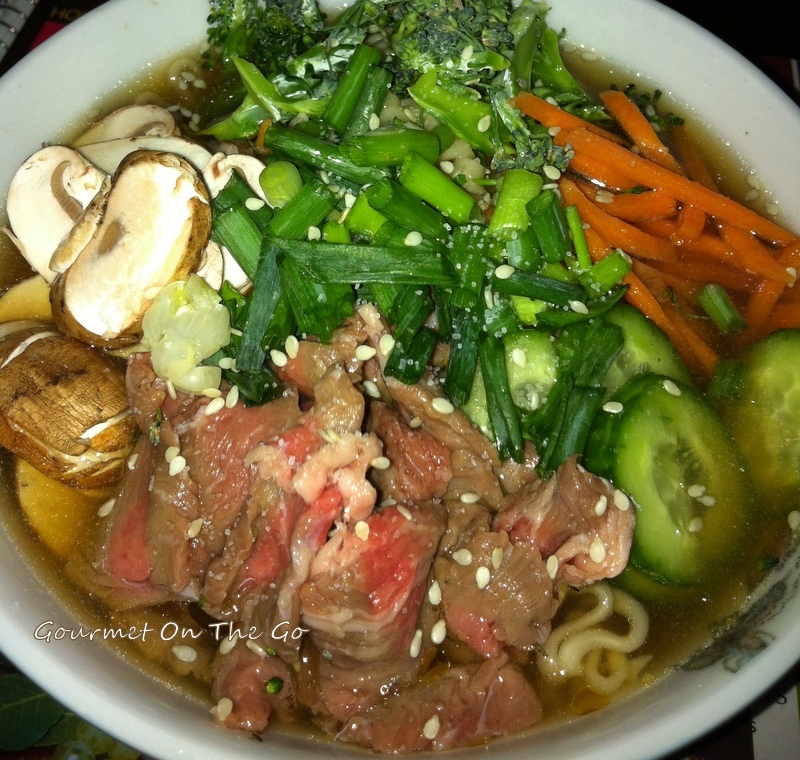 Pour the hot broth on top of the noodles and veggies, sprinkle with sesame seeds, and drizzle with sesame oil….ENJOY!